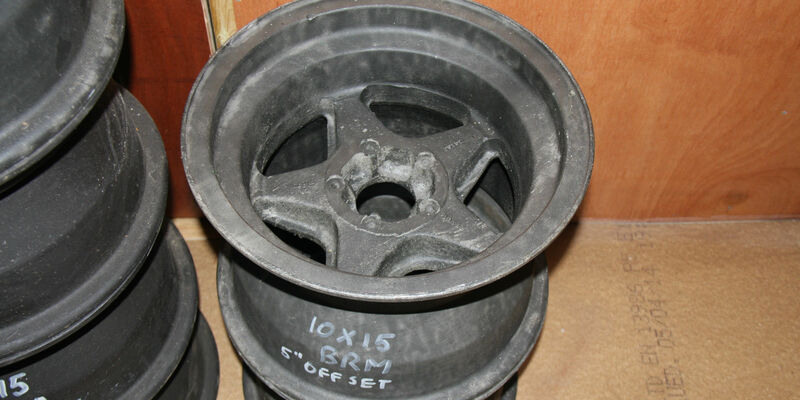 Two BRM Formula 1 cast magnesium five spoke wheels as used on various BRM F1 cars in the ’70s. Five stud fixing. Bought from BRM in the ’70s by the current owner and in good condition. Measurements: 10″ x 15″ with 5″ offset.